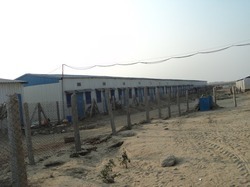 We are offer a wide range of Workers Block Projects. 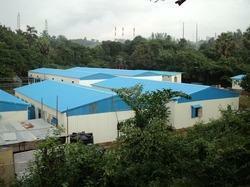 Our products range includes Metal Roof Tile, Galvanized Iron Corrugated Sheet, and many more. 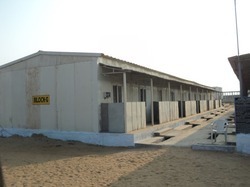 With rich industry experience, we are offering a wide assortment of Pre Engineered Labour Block. This is made available in various sizes and finishes. Offered product is designed by our experienced professionals utilizing optimum quality raw material that assures its high durability. Known for its attractive designs, classy look and smooth finish, this is highly demanded in the market. Additionally, we provide this array to our respected clients at industry leading prices. Backed by a team of experienced professionals, we are offering a classy range of Insulated Workers Block. Designed using utmost quality material by our experienced designers, the offered range is highly demanded in both, domestic and international market. Well-known for its excellent finish, clients can avail this range in different designs, sizes and specifications. The offered block is stringently tested by our quality controllers in order to deliver effect free range at clients end. 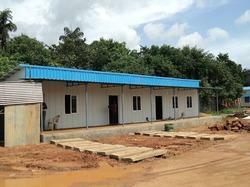 We are recognized as the foremost trader, exporter and supplier of Prefabricated Workers Block. Designed using premium quality raw material and other material, offered block is highly acclaimed for its perfect finish and wonderful pattern. 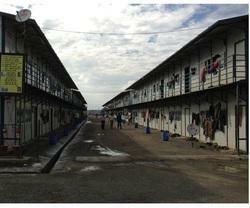 Our offered rage is made available in different sizes to meet individual requirements of the clients. Further, we ensure that offered range is available to our clients at market leading prices. 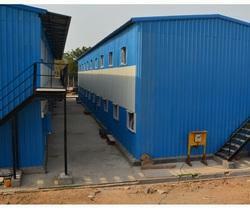 Owing to our expertise, we are trading, exporting and supplying a wide gamut of Prefabricated Labour Accommodation. In order to design offered range, we make use of optimum quality raw material. This range is designed by our skilled professionals with immense care. Our offered range has gained huge demand in the market for its perfect finish and high durability. Additionally, we provide this product to our valued clients in different sizes and finishes in accordance with the stipulations provided by them. 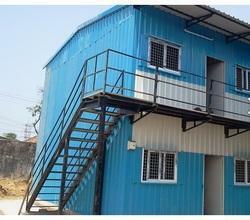 We have emerged as a foremost trader, exporter and supplier of Prefab Workmen Shed. The offered range is designed using premium quality material and latest designing techniques. Offered product find usage in both domestic as well as commercial sectors. 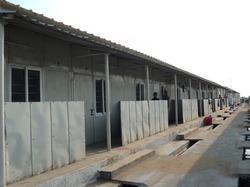 Further, we provide is shed in different sizes, finishes and specifications in accordance with clients’ requirements. Clients can avail the offered range from us at industry leading prices. 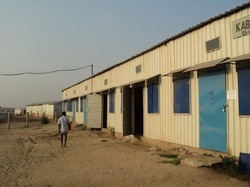 Looking for Pre-fabricated Labour Accomodation ?